The best information to be found in one place on vegetable plant nutrient deficiencies and corrective treatments – nothing else we’ve seen comes close! 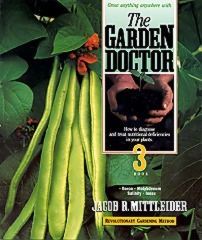 Illustrates plant deficiency symptoms for all 13 nutrients on a wide variety of vegetables and fruits, using more than 800 color photographs. 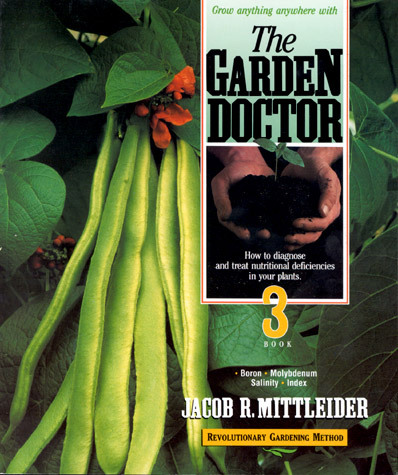 Includes three volumes of detailed color photos and descriptions that teach what each nutrient does for plants and how to recognize the first and predominant symptoms of deficiency. Suggests appropriate corrective dosages for your particular garden space, different methods of application, and the best time for treatment. Created from 50 years’ study and field experience throughout the world. Used in many agriculture colleges and universities, as well as by many agriculture agents, in the USA and numerous other countries. Works equally well on large farms and small backyard gardens to diagnose and treat plants and produce greatly increased yields of uniform quality vegetable and fruit crops in any soil, in any climate. Also available in Russian. Please contact us if you are interested in the Russian version. Download Molybdenum (Mo) (PDF, 1.1 MB) and learn why molybdenum is so important and how you can spot and correct deficiencies.